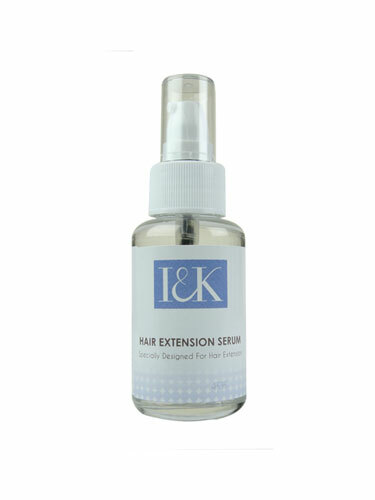 I&K Hair Extension Serum is specially designed for hair extensions. It will smooth split ends and keep the moisture of your hair, also revive damaged hair just in seconds. Dispense 1-2 pumps onto palm of hands, then rub hands together and apply through the hair. Repeat the applications will help maintain the life of your hair extensions.